Severe back pain from sitting too much at my computer desk was hindering my graphic design work…to the point where I couldn’t spend more than 2-3 hours a day without pain killers. Something needed to change. I had heard and read about the benefits of height adjustable sit-stand work desks, so I began shopping around. 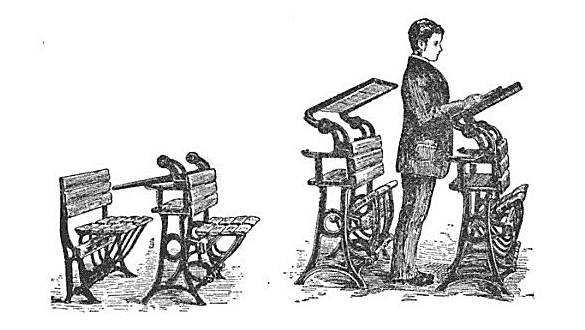 Apparently there are two options for those seeking a sit-stand work desk…1) those with electronic controlled height adjustment and 2) those requiring manual movement via a hand crank. When reading through some online reviews, just about everyone was touting the benefits of the motorized tables because of their “ease of use” and “speed”. Naturally I took the advice and searched around to see what I could find. What shocked me was how expensive these motor controlled desks are. I had a hard time finding anything under $1,500 with decent customer reviews. That was more than I wanted to spend, so I began looking into manual adjustment desks and came across the ModTable on Amazon. With a 5 star rating, stellar reviews and a more reasonable price tag of $479 I was sold. The only downside was that the ModTable included just a base…(a table/desk top needed to be purchased separately). For me this wasn’t a deal breaker. I purchased the desk and followed the recommendations from Amazon reviewers and bought separately a very nice, light weight and durable desk-top for under $50 from a local Ikea re-seller business. This saved me shipping costs and I was able to pick a top that fit my taste. Below is a quick video demo I shot of my wife showing the desk in action. As you can see, she’s having no trouble with the hand crank (basically equivalent to rolling down a car window). In total, it takes no more than 15-20 seconds to raise or lower the table…depending on how quickly you want to turn the handle. One thing I should mention…if you’re taller like me (I’m 6’3″)…you may have to place your computer on a couple of books, block of wood or HiRise to reach optimum eye level. If you’re shorter, you’ll be fine. Summary: I guess if spending hundreds more for the simple luxury of being able to push a button is your thing, then buy an electronically controlled desk. If saving money, being able to pick your own table top and not having to replace pricey motors later on down the road sounds appealing; then you can’t go wrong with a hand crank table. After a month or so of using mine, my back and leg soreness has decreased quite a bit. When I have a lengthy design project to work on, rather than sitting for hours straight; I switch between sit and stand position. Anyway, I hope this write-up has been helpful to someone out there. 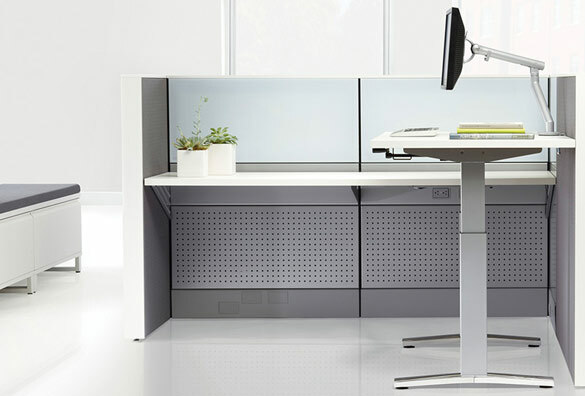 Learn more or purchase the ModTable height adjustable desk here . If you end up buying this desk, already own one, or have another you can recommend; please share below. Thanks for reading.